One week after the start of the campaign, we we’ve been able draw a preliminary conclusion: we’re off to a good start! More than 150 companists are already on board - more than 50% of the investment threshold has already been invested. The press has also shown considerable interest. Meaning that within a short space of time, we’ve been able to enjoy a great number of online and print reports. Among others, the Badische Zeitung, Golfsportmagazin and golfsport.ch have already published news and reports on the start of the campaign. Alongside this, our crowd investing campaign has also made waves within the industry. We’ve received numerous enquiries from interested partners (including hotel chains, DMCs and tee-time providers) from across "half the world,” who would like to connect to the platform in one form or another. The described problem is well known within the industry. Particularly due to the fact that, until now, no-one has been able to offer a solution. As a result, golf4you is fortunately receiving even greater attention. Highly renowned companies in the travel industry, known by just about everyone in Germany, have also now become aware of the new start-up. 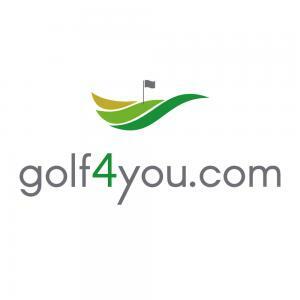 As Paul Smyth, CEO of golf4you reports: “Large golf tour operators have congratulated us on the start to the crowd investing campaign and have said that they also face the problem of how to offer all 4 components of a golf trip (hotel, flight, transfers, tee-times) in one booking process. And that is the difference with golf4you: while other vendors are looking at the problem, golf4you is looking at the solution." Highly motivated, we are currently working with high pressure on the launch date in May 2017. In particular, the development, contracting and content teams are currently having great demands placed on them. Many of the new partnerships with major and important service providers (e.g., airlines) require more than just complex contracts. Instead, together with partners pribas and the DMCs in the target regions, we are creating or optimizing fully automated interfaces in order be able to integrate their services into golf4you in a more optimized fashion. Our campaign on companisto is still running - invest with us in the future of the golf travel!